Folks! I know, it’s not that easy to keep that fashion and beauty life happy and energetic these days. I know for sure that I would like to unpack and live in my teddy coat until spring is here. But I also know that I feel pretty good when I get myself together and make an actual effort to add some energy to my winter outfit. 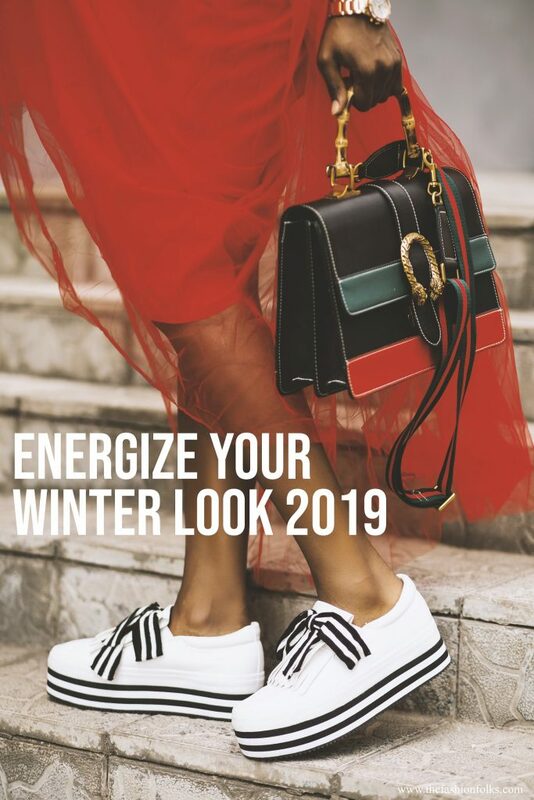 I therefore thought I’d compile some really easy and obvious tips on how you can add energy to your winter look 2019! Nothing more, nothing less! Pops of Colors – The best hack you can do is to add colors to your outfit. It’s seriously as simple as that. Colors have a fascinating way of affecting us, which is why it’s so clever to use them in our advantage. I’d go for intense and warm shades of red, orange, pink and yellow. Especially yellow and orange adds a lot of energy, which makes the two perfect for the winter look. Go for colorful accessories if you don’t want to turn up the volume too much! 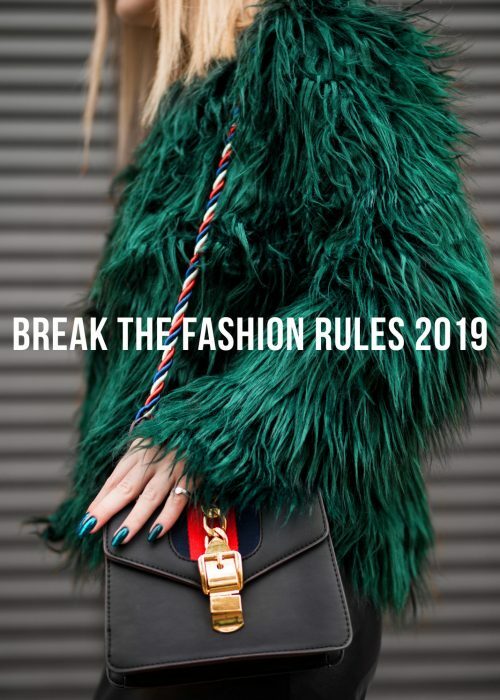 If you want to go full statement, pieces that are maxi or with a lot of texture are good options. Energizing Makeup – The second thing you can do is to focus on the makeup. Adding a bright lipstick, some blush or some colorful eyeshadows will give you a more energizing look. It will intensify the makeup and enhance your outfit. It’s especially smart to match your makeup with your clothes to make the most out of the effect. A red sweater with some red lips will give a pretty intense look and some rosy cheeks with anything pastel will also give a refreshed look. One of the biggest makeup trends 2019 is to go for singular, colorful, eyeshadows. Get some inspiration from this post! Flowy Fabrics – Focusing on voluminous pieces is another fashion hack, especially when you choose them in flowy styles. I’m talking about pieces such as: pleated skirts, A-line maxi dresses and blanket scarves. These pieces will add a lot of volume to your outfit which will make a statement and give your outfit a more elevated appearance. I especially think pleated skirts, preferably midi, are stylish to use for this matter. 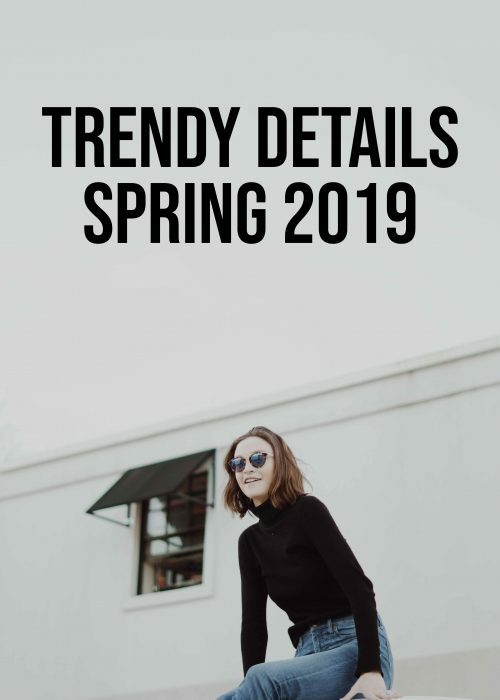 The structured style of the pleats and the distinct silhouette will create a simple and effective contrast with a simple white t-shirt or a chunky sweater. Crazy Prints – Prints can also be pretty energizing, especially if you choose a print with contrasting colors. You can also be specific in what style of print your choose. Prints that are geometric can on one hand be pretty contrasting but also monotone as the print is predictable. 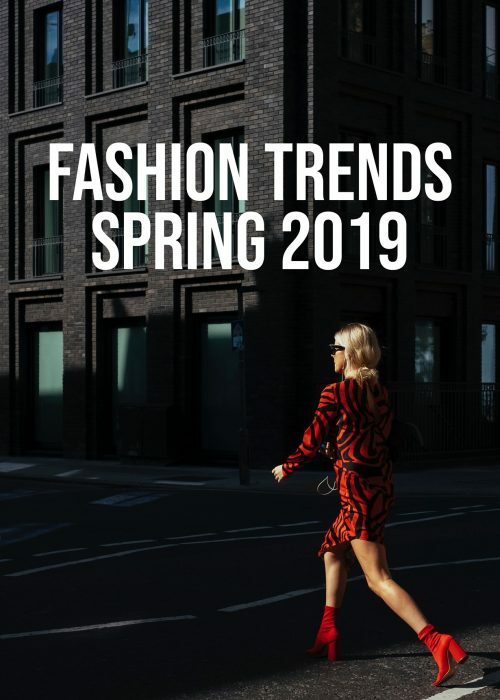 Prints that are more distinct in colors, various shapes and has an incohesive pattern are often more energizing and statement-making in that matter. I think animal prints can be a good compromise of both of the styles, whilst retro floral prints are pretty energizing (think 60s/70s) and classical stripes are pretty basic. But more than anything though, focus on the colors in the print and what kind of clash they create. Stylish Nails – Folks! Let’s not forget about the nails this year. Painting your nails in a colorful shade is a subtle yet powerful way of adding more energy to your winter look 2019. If you go for neon colors, primary shades or metallic ones you have some pretty good statements to work with. The nails, obviously, takes up a small part of one’s look but are still pretty visible. That’s why a pop of neon pink or sunny yellow will add an intensity to your outfit, yet not go crazy with it. Fab ideas dear. And yes, stylish nails can definitely amp up your look. I woke up to snow this morning, so to say I needed this post would be an understatement! Especially on a Monday. I did some energizing makeup and it’s making me feel a little better already – Happy Monday, Mia! I’m all in for these ideas to spice up your winter. Love adding color any chance I get! I’ve always loved colorful looks in the winter! It puts me in a happy mood no matter what the weather is! Hope that you are having a wonderful weekend 🙂 It’s another hot one here!